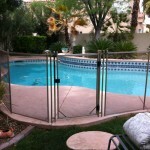 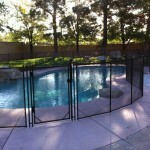 Every Aqua-Safe pool fence installation is customized to your specific swimming pool or back yard. 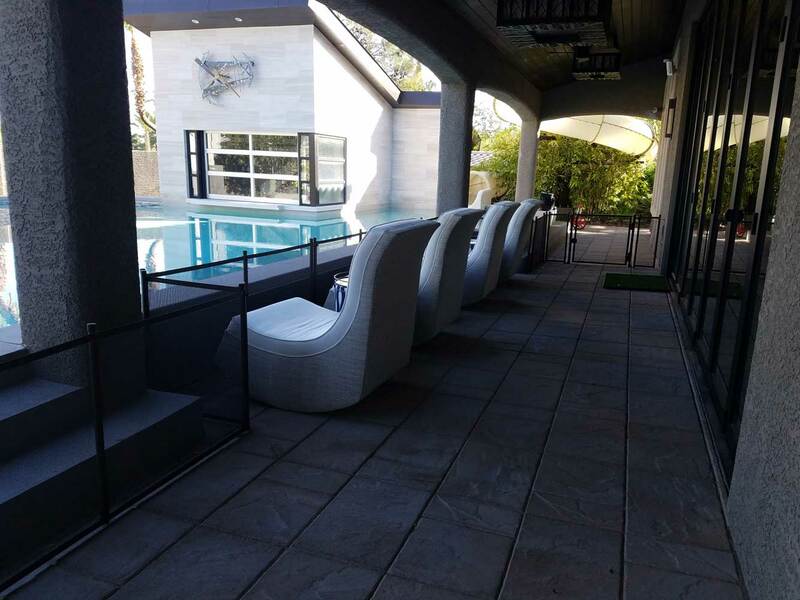 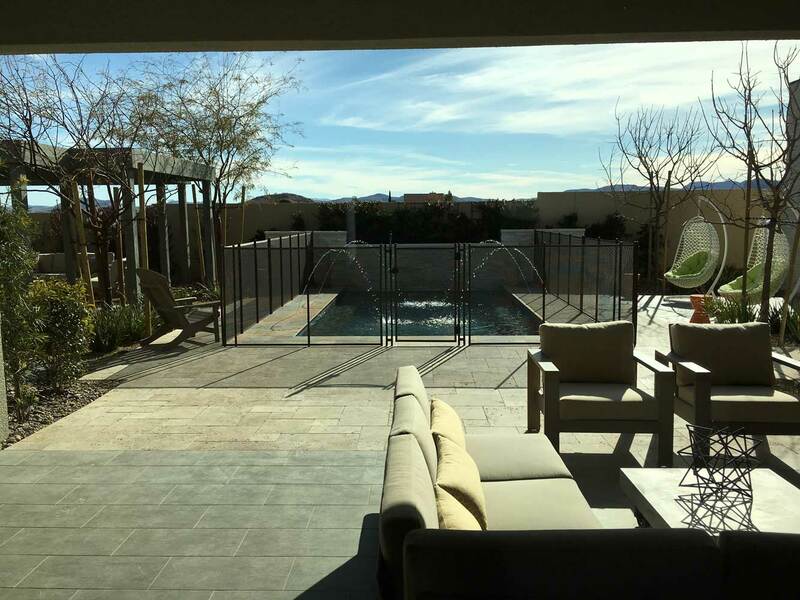 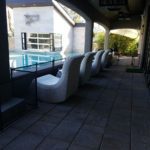 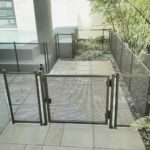 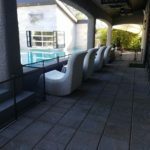 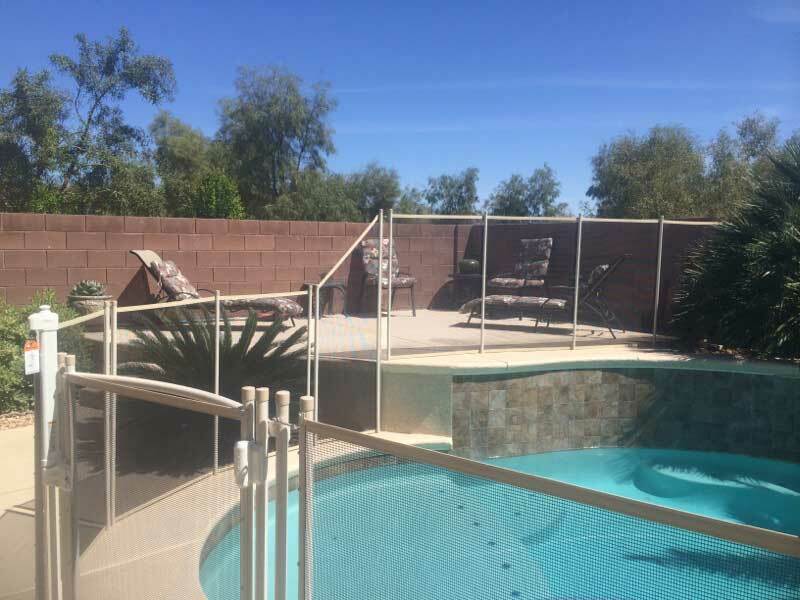 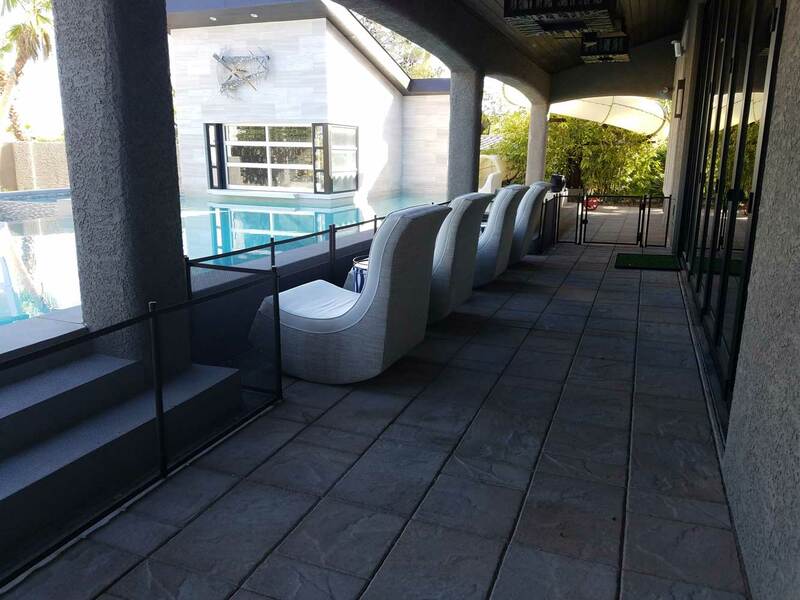 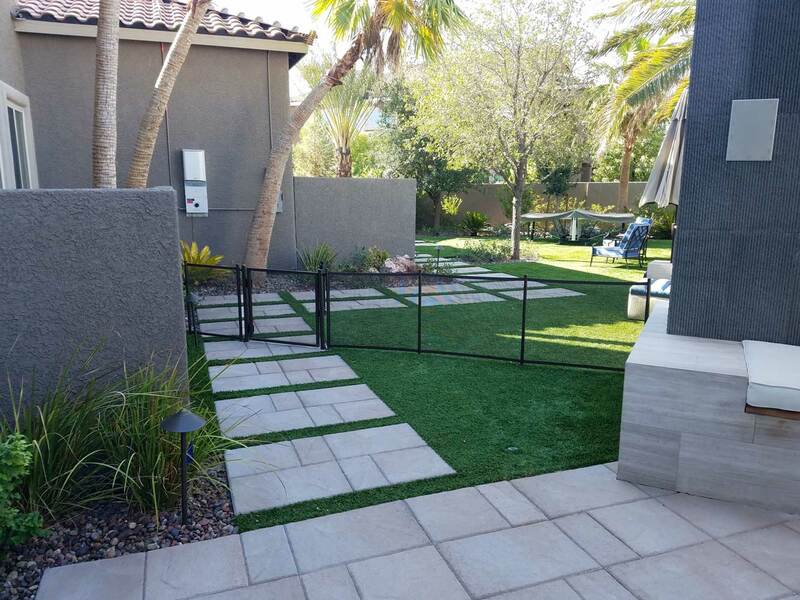 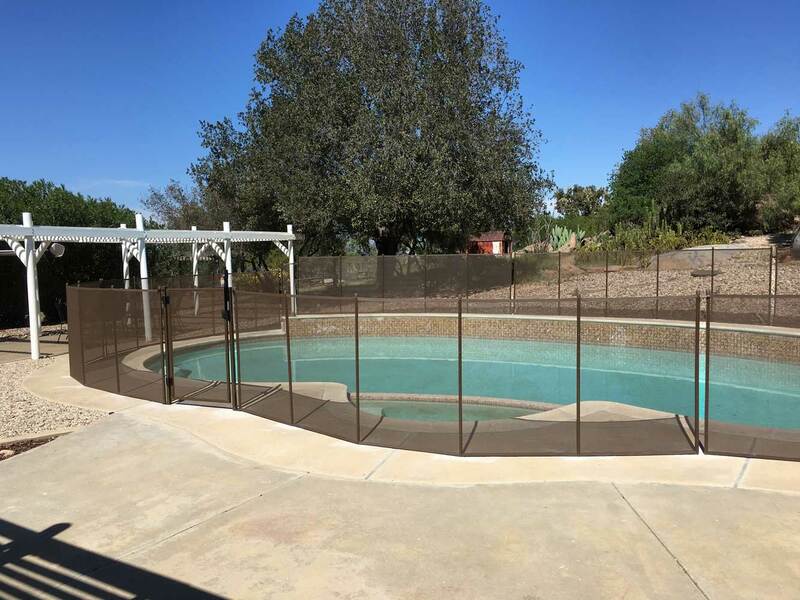 The removable mesh fencing systems come in a variety of colors and styles specifically designed to match the aesthetics of the surrounding area. 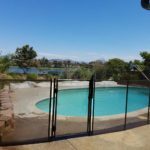 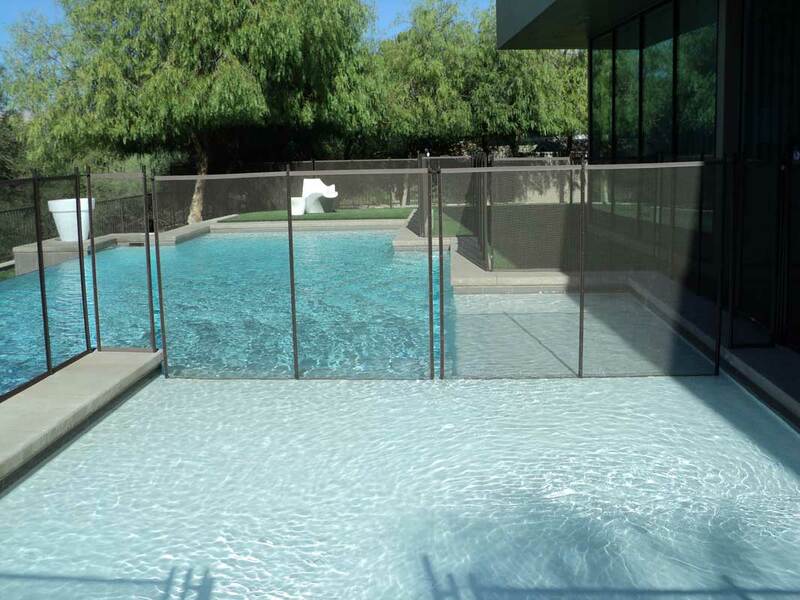 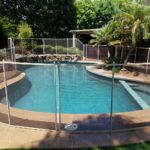 Aqua-Safe pool fences are the best looking, most transparent on the market and use the safest and strongest materials available. 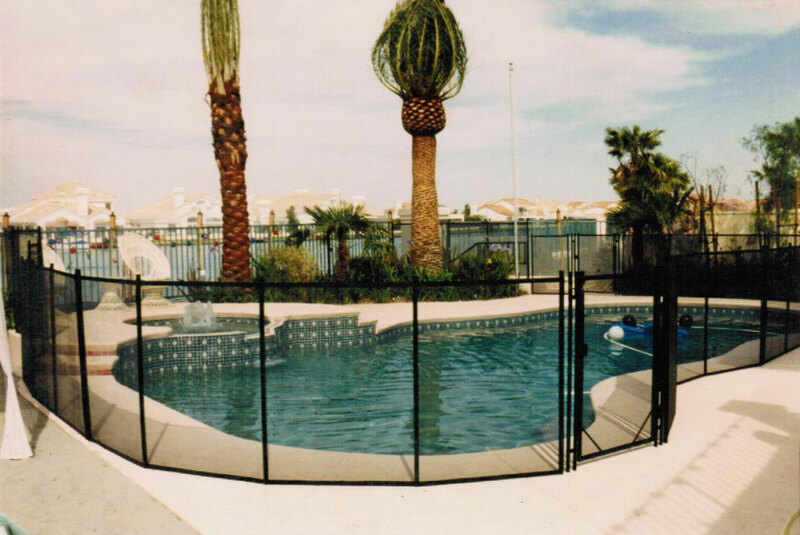 Aqua-Safe pool fencing is completely removable and designed to meet parents’ needs for the safety of their children. 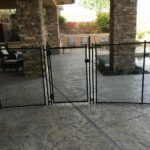 This system was designed to be easily taken down for special occasions or whenever it is not needed. 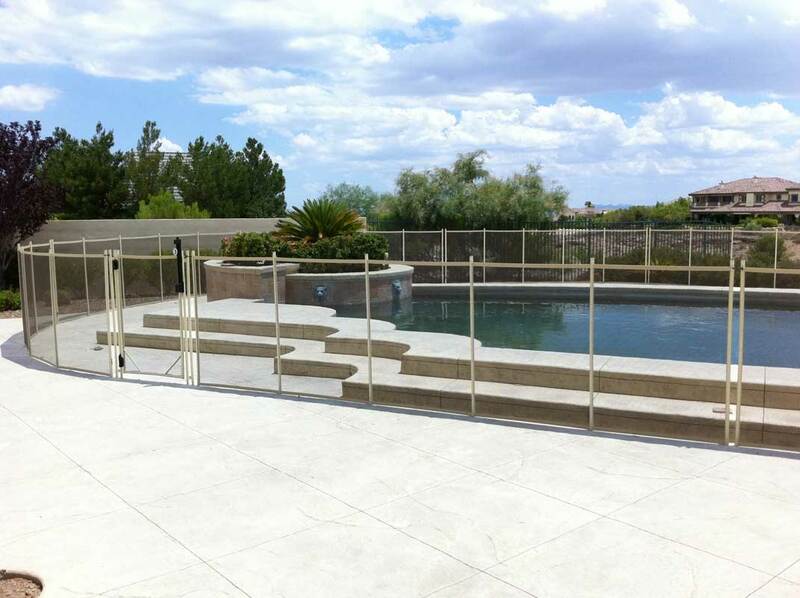 Both our original and premier fences are now available in our designer series with an elegant paint finish. 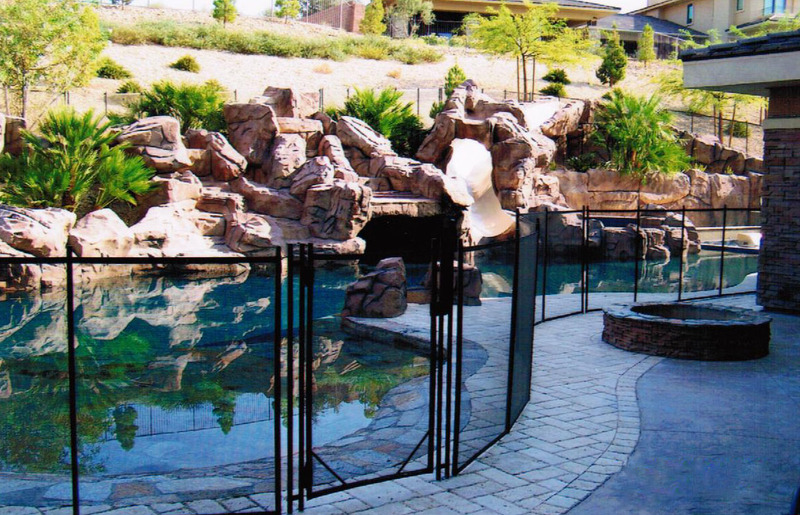 The Premier Fence is Aqua-Safe’s strongest pool fence system. 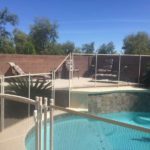 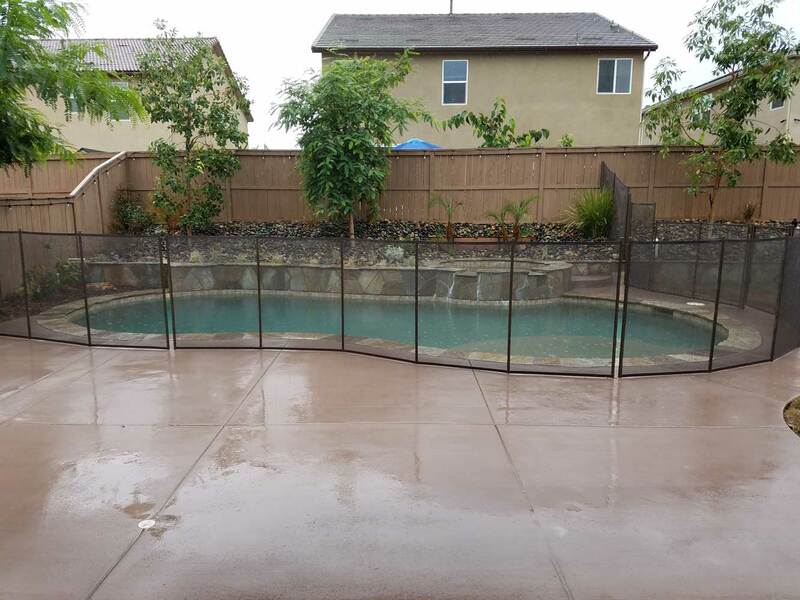 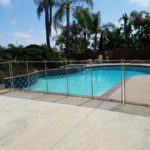 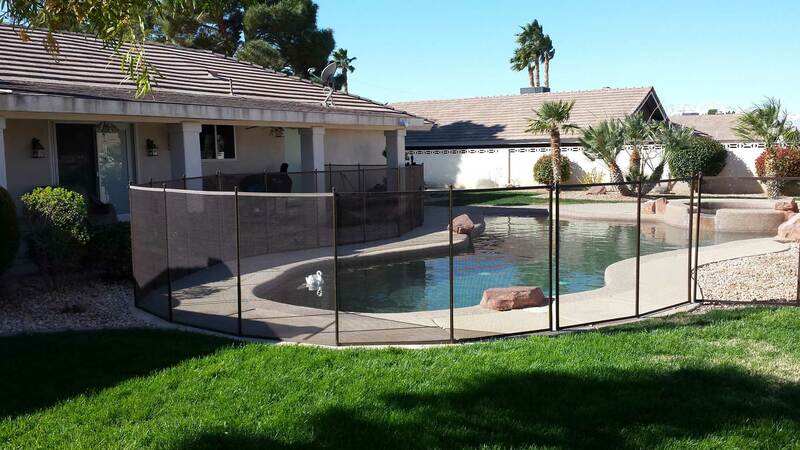 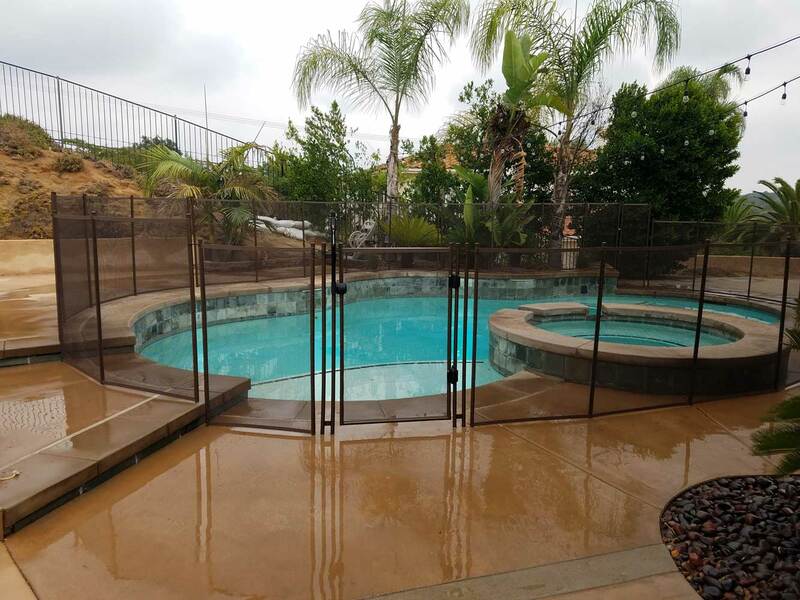 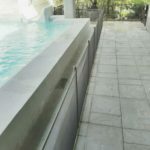 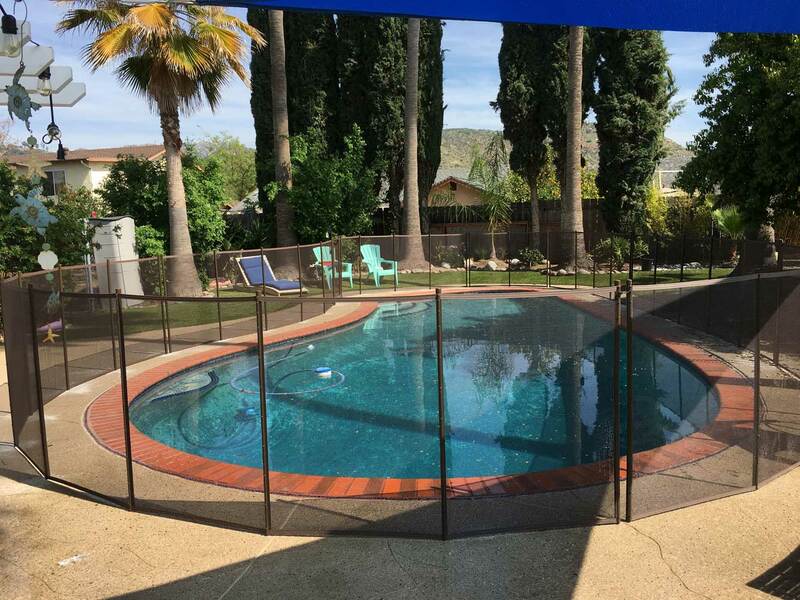 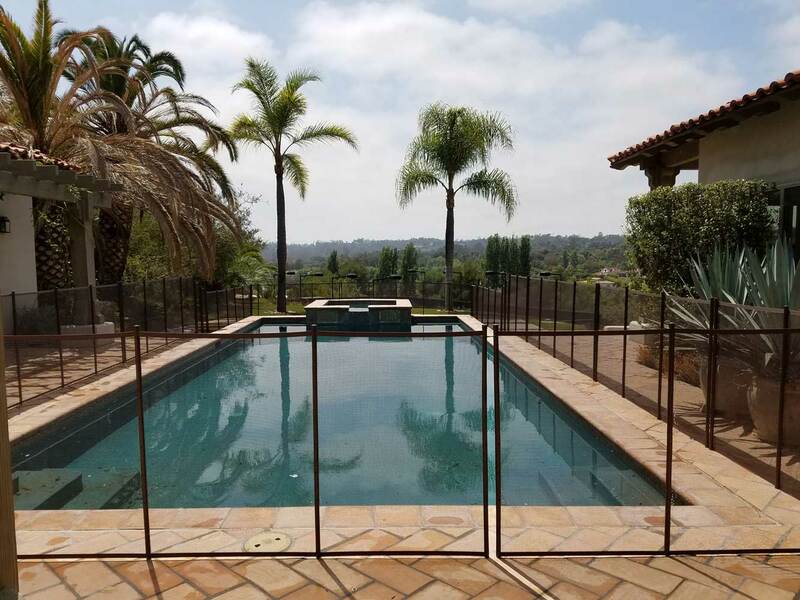 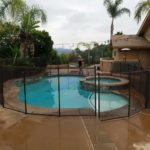 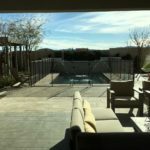 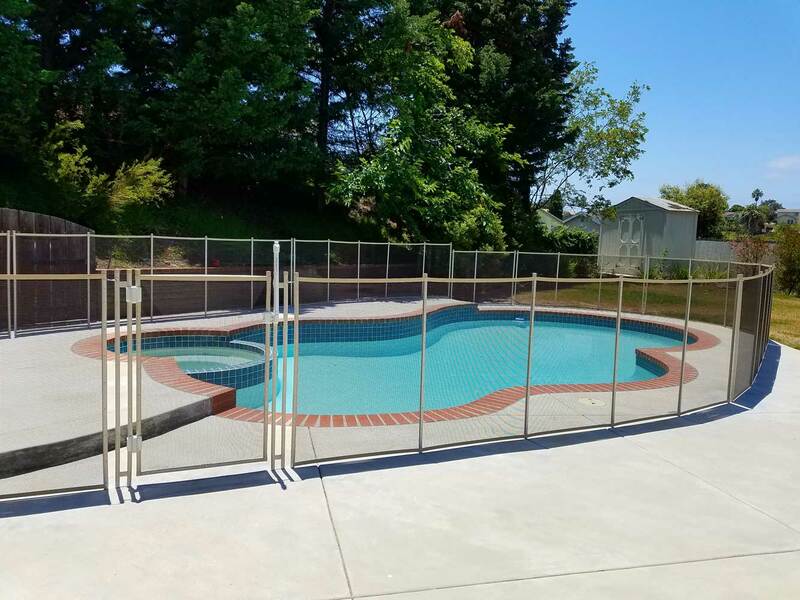 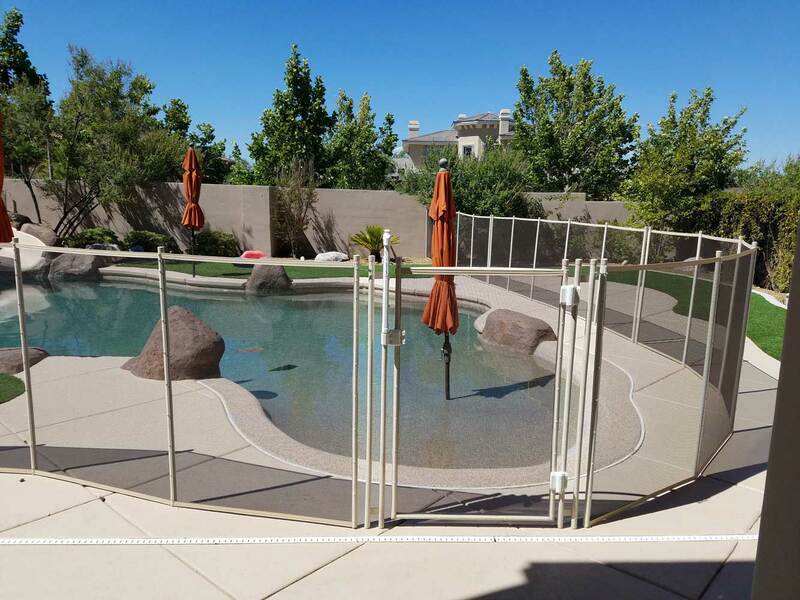 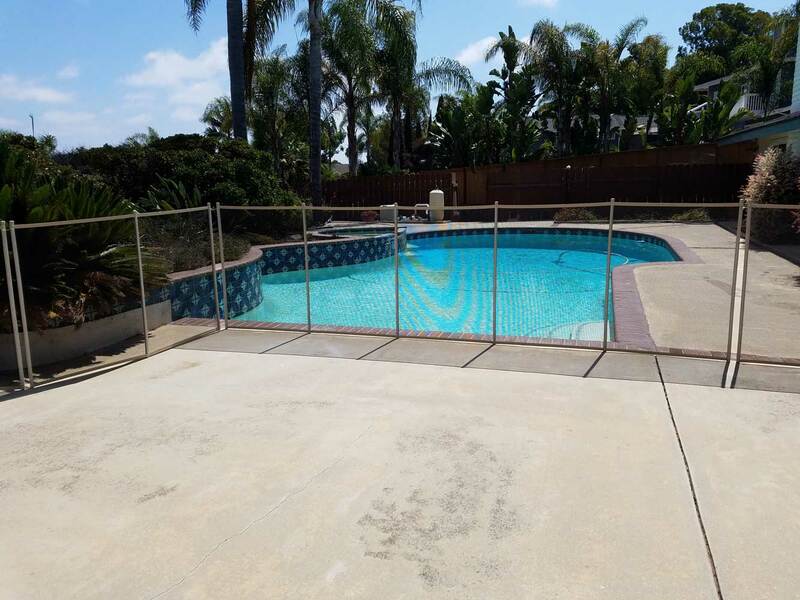 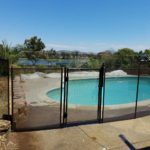 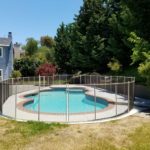 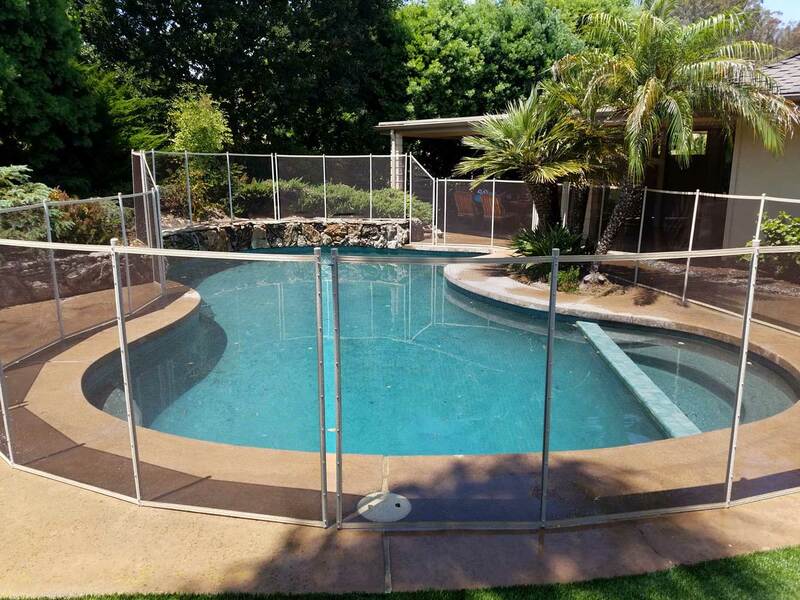 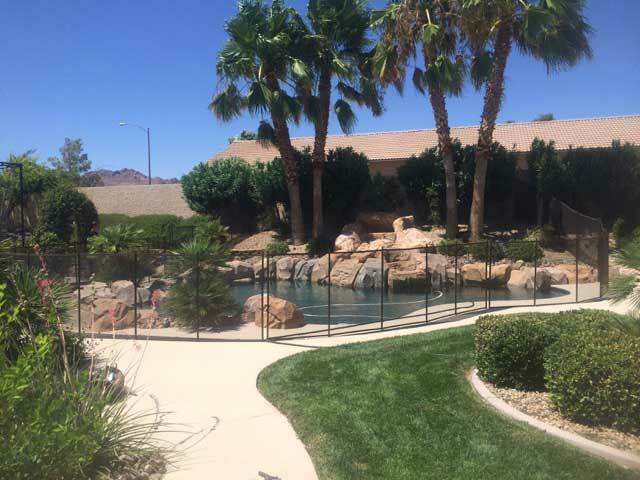 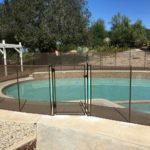 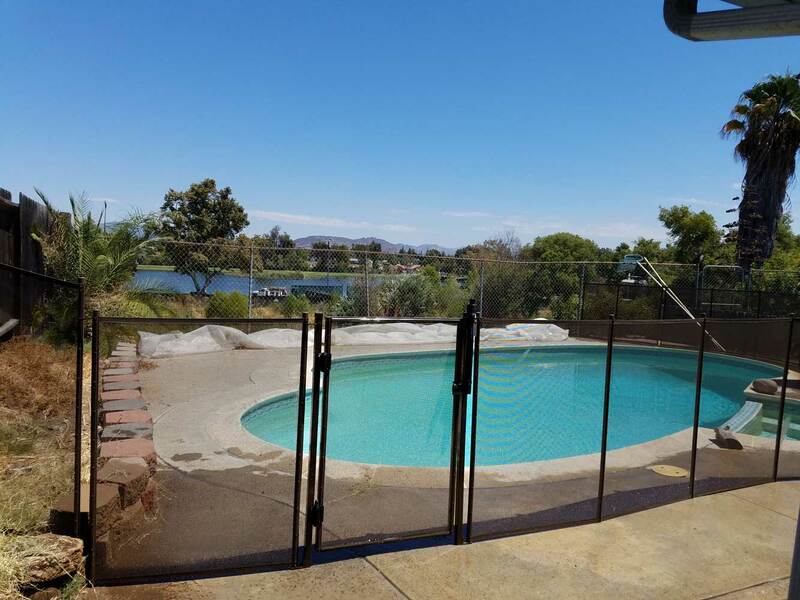 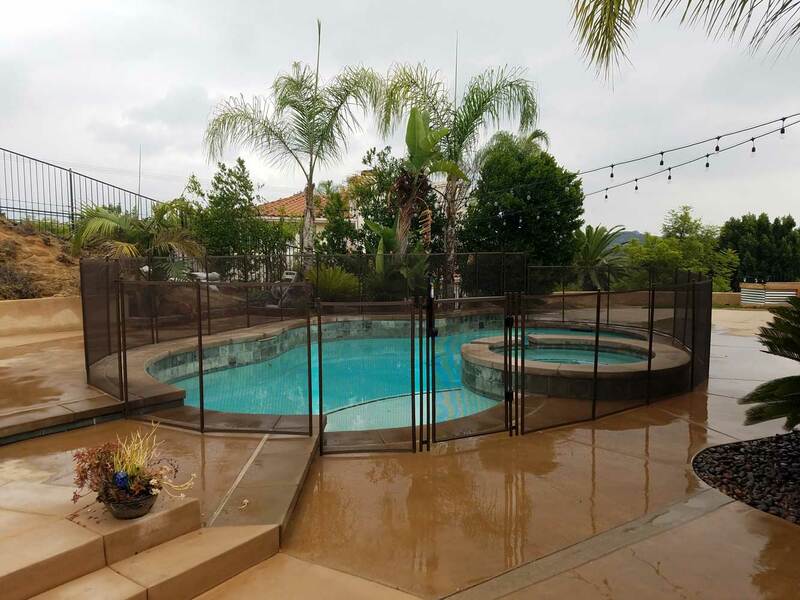 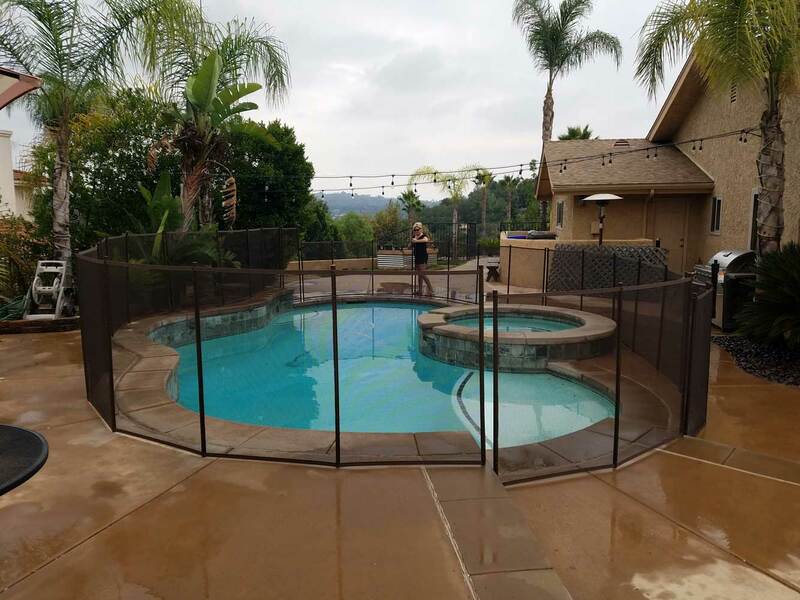 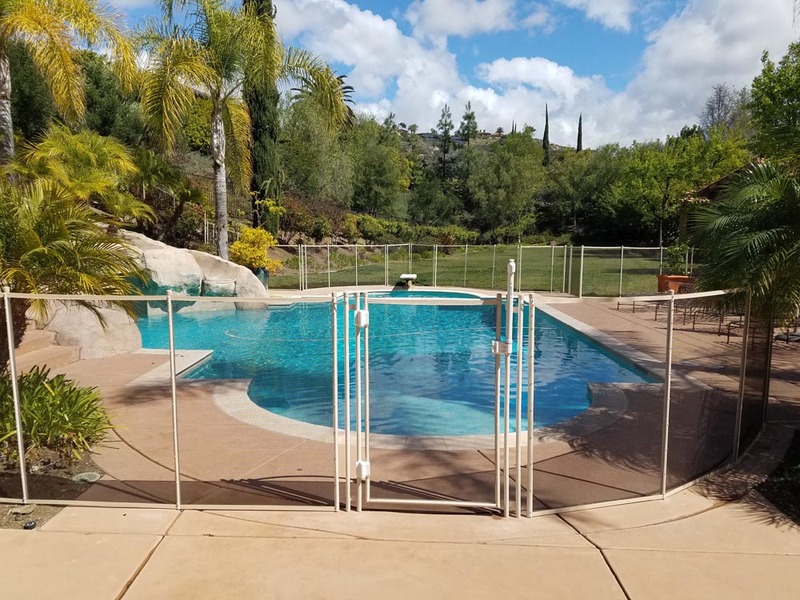 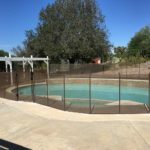 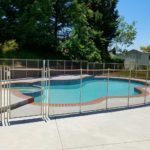 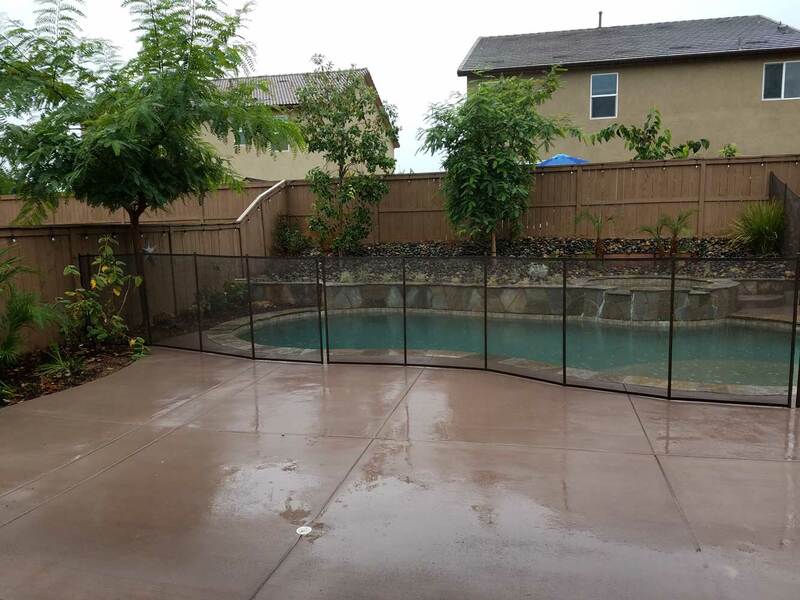 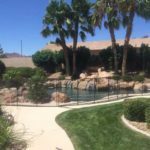 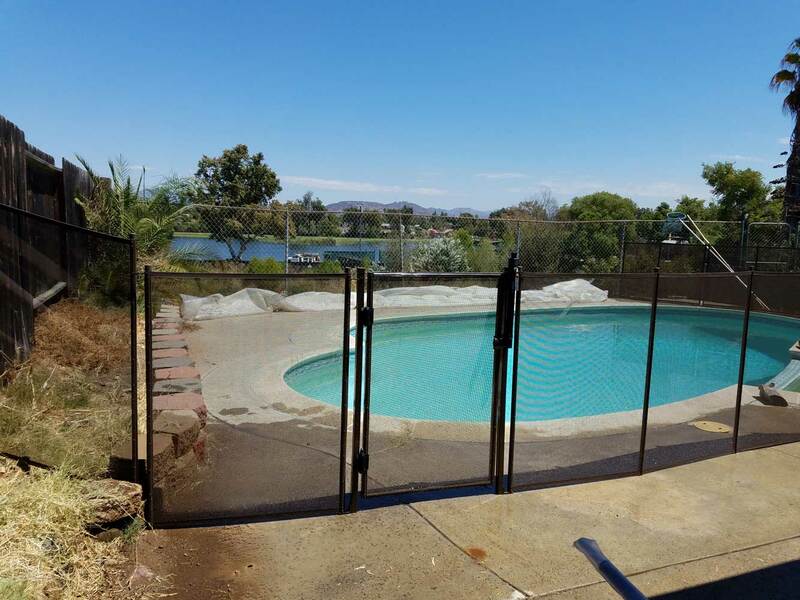 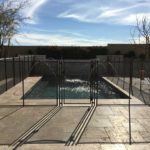 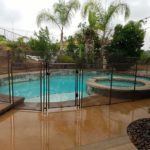 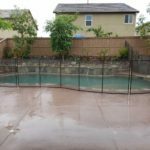 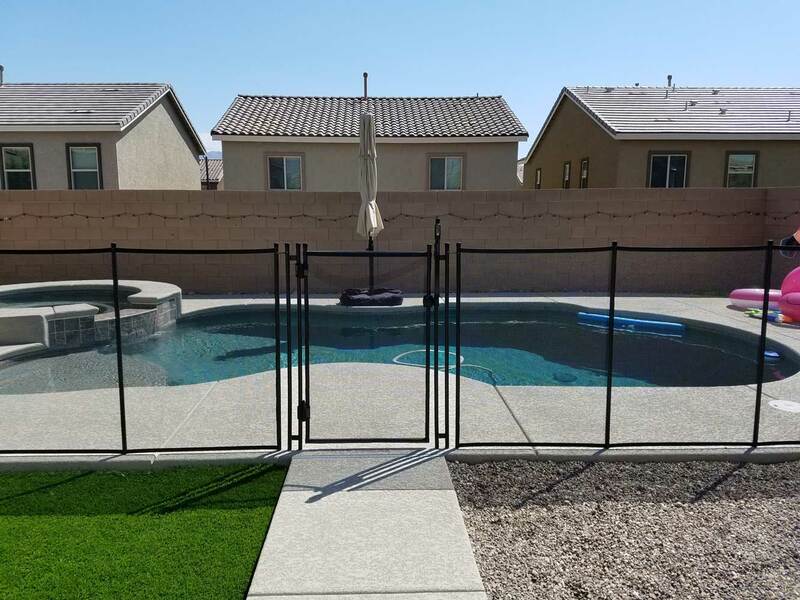 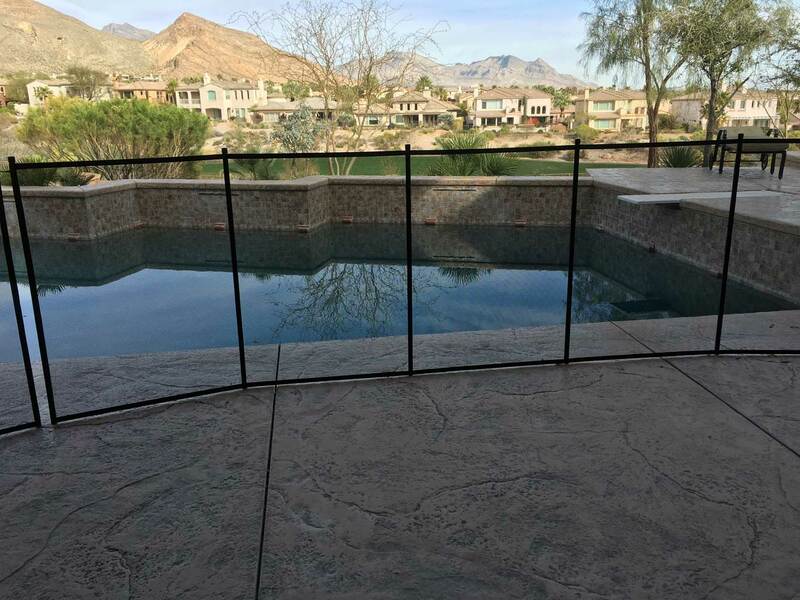 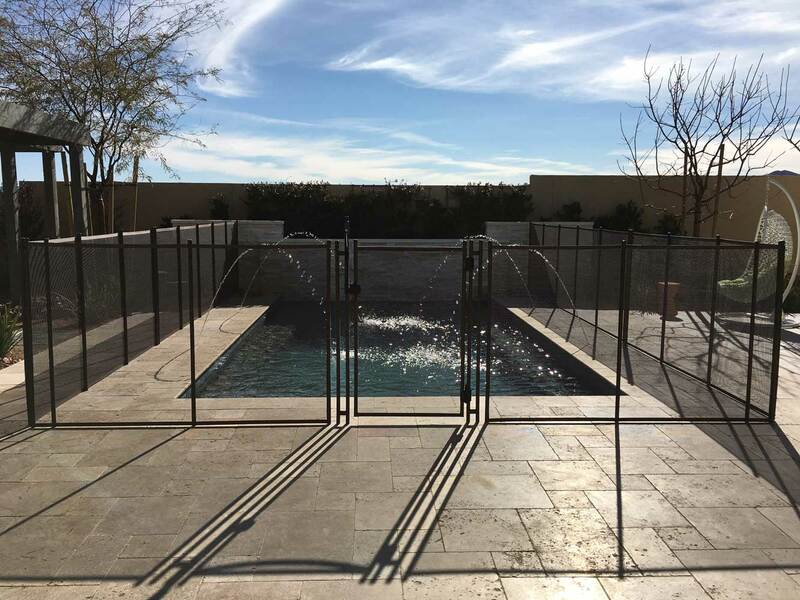 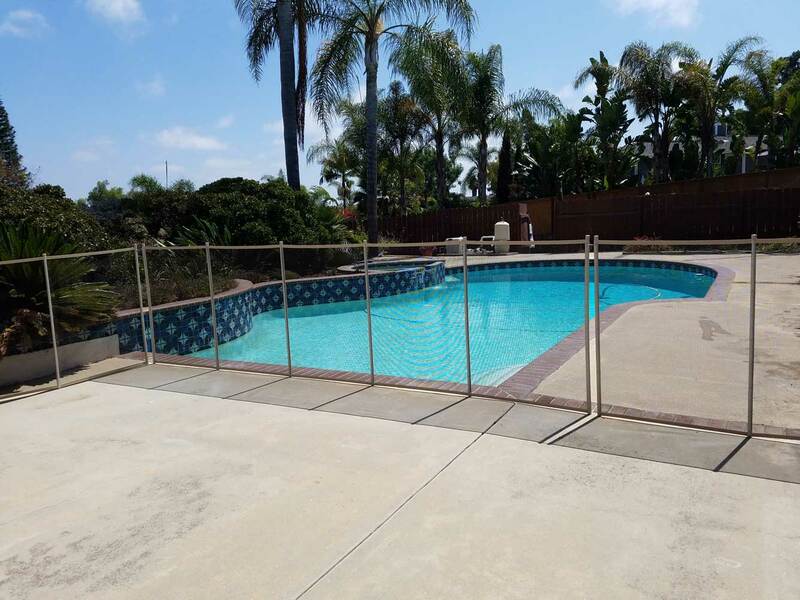 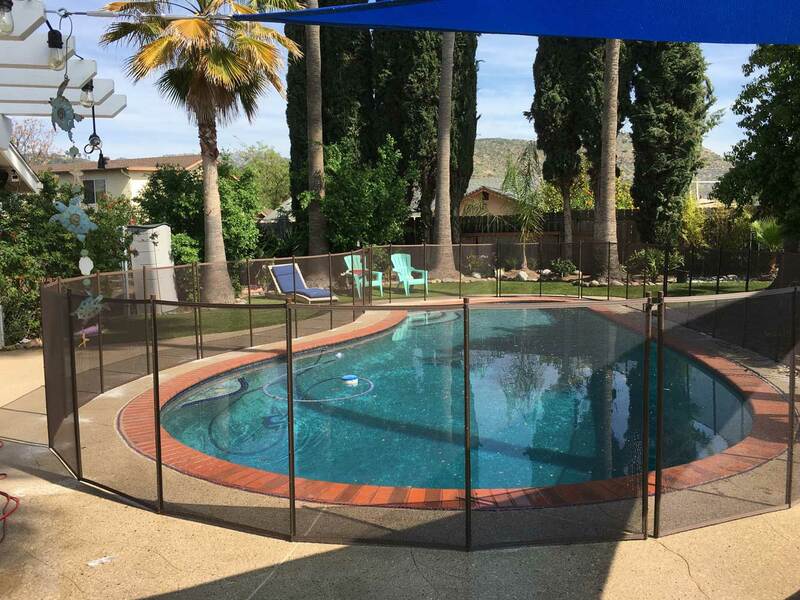 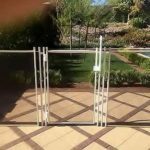 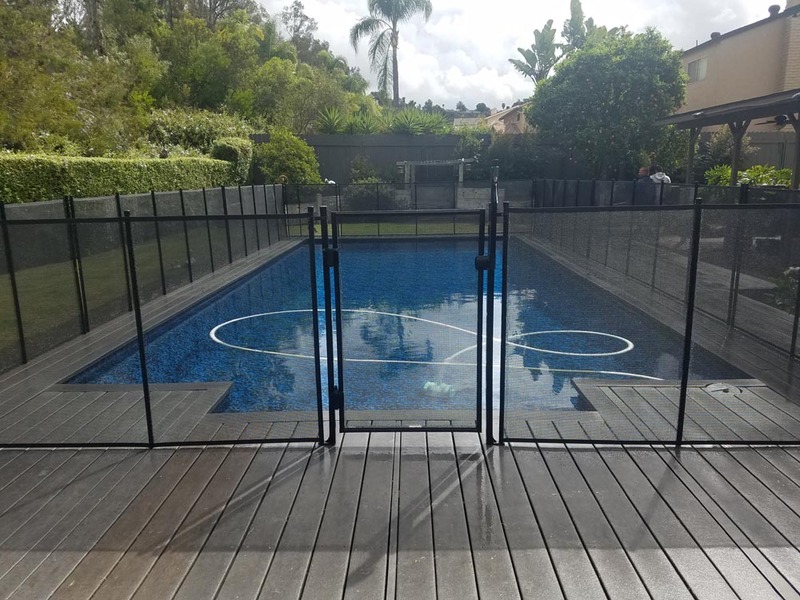 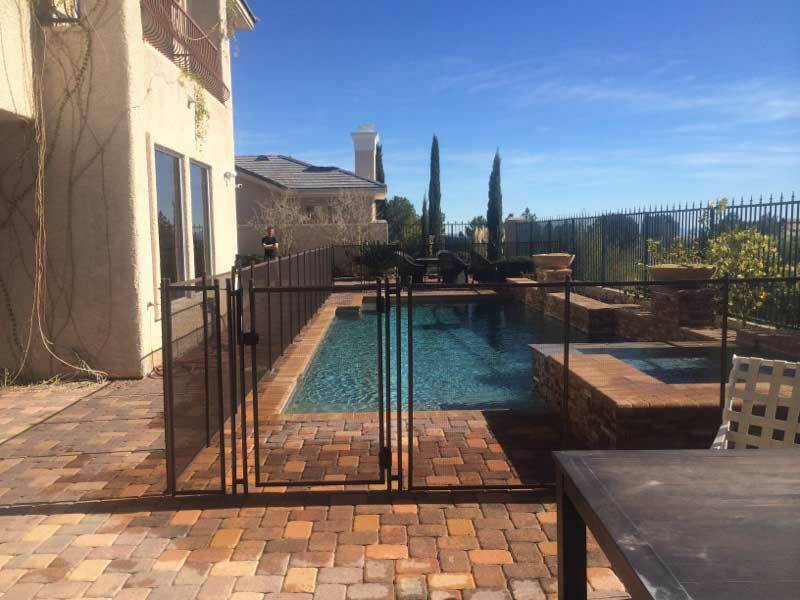 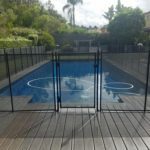 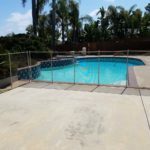 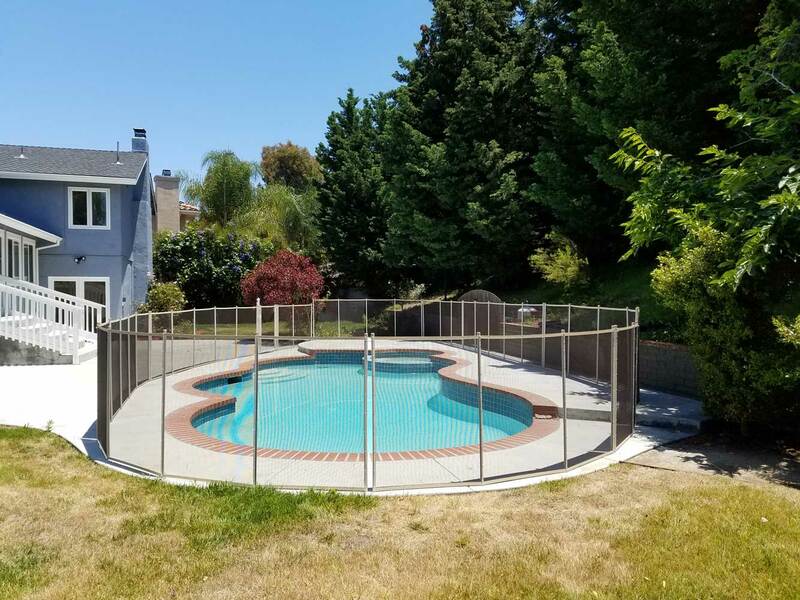 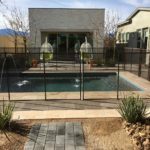 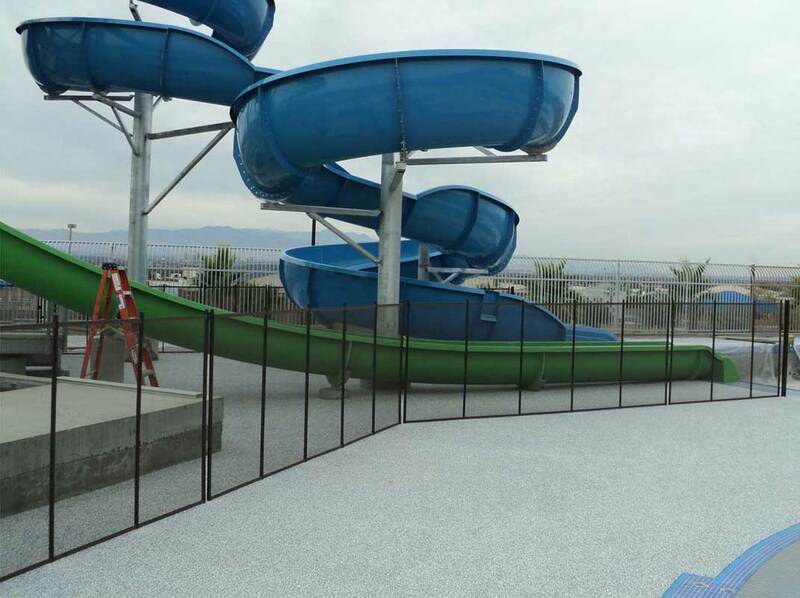 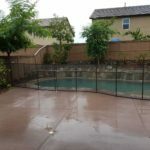 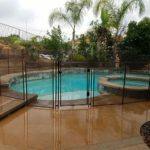 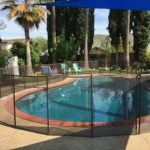 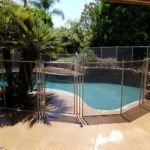 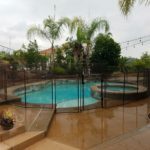 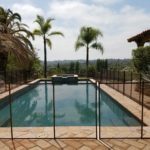 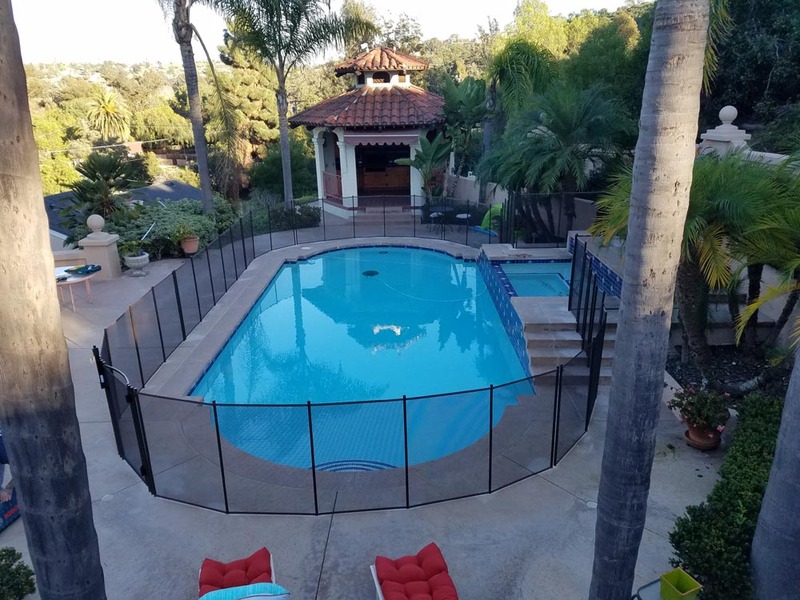 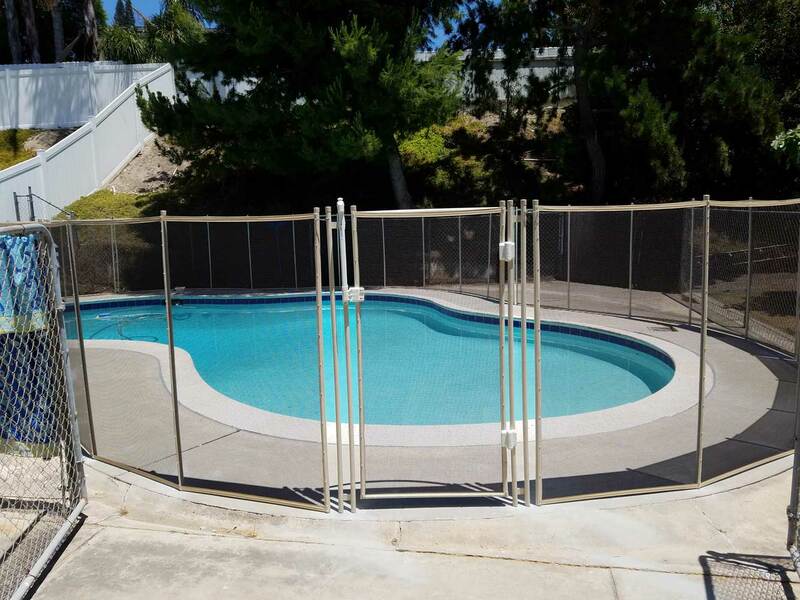 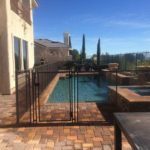 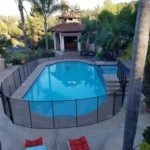 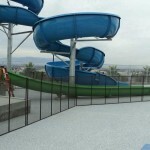 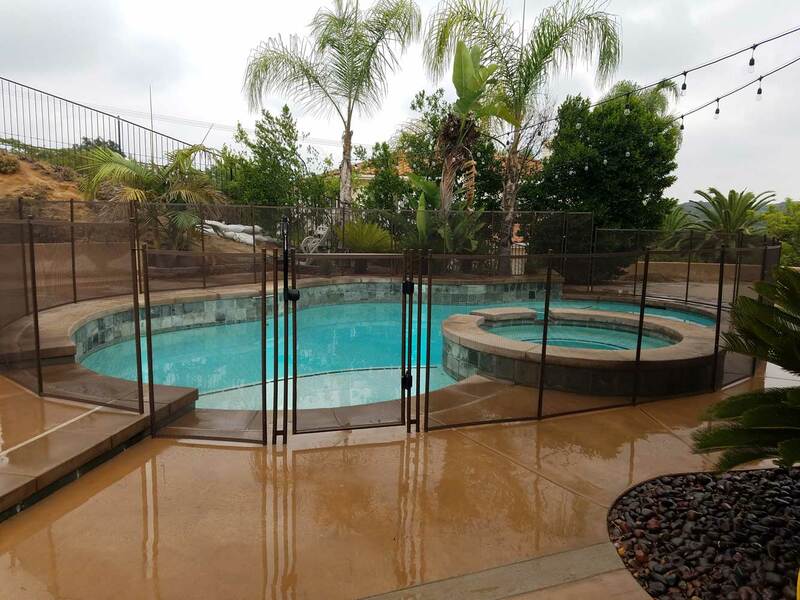 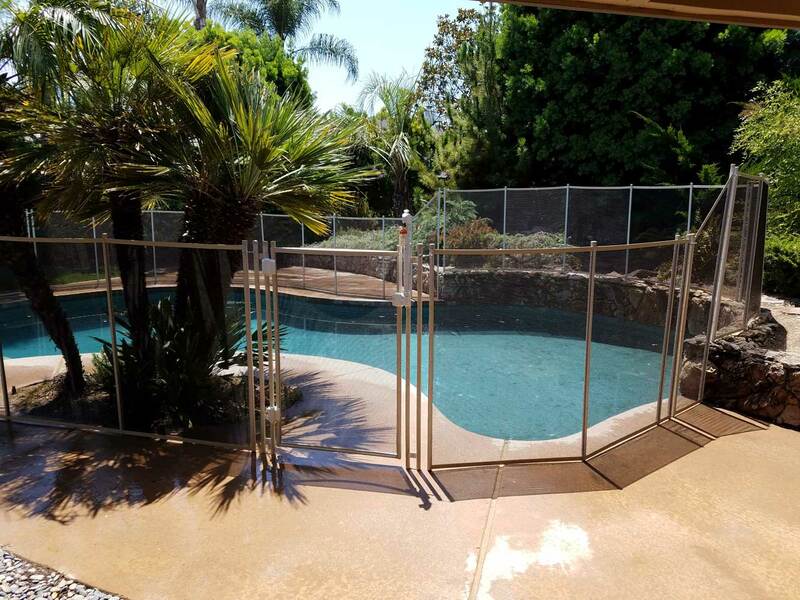 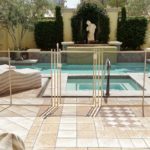 While it uses the same mesh as our original pool fence or has the option of using the custom designed pet mesh, the major difference is the pole design. 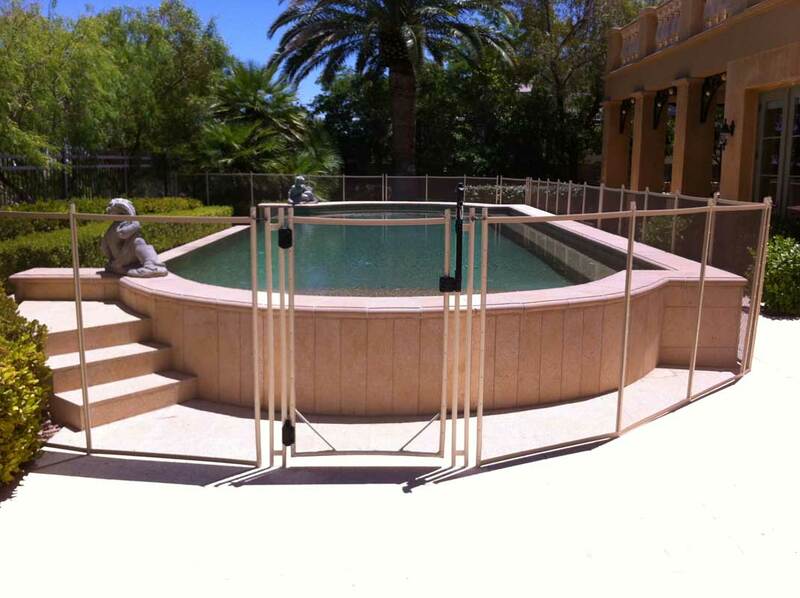 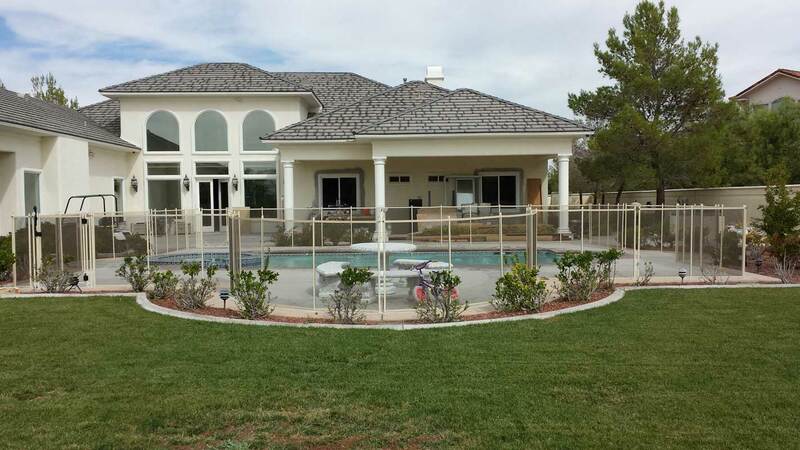 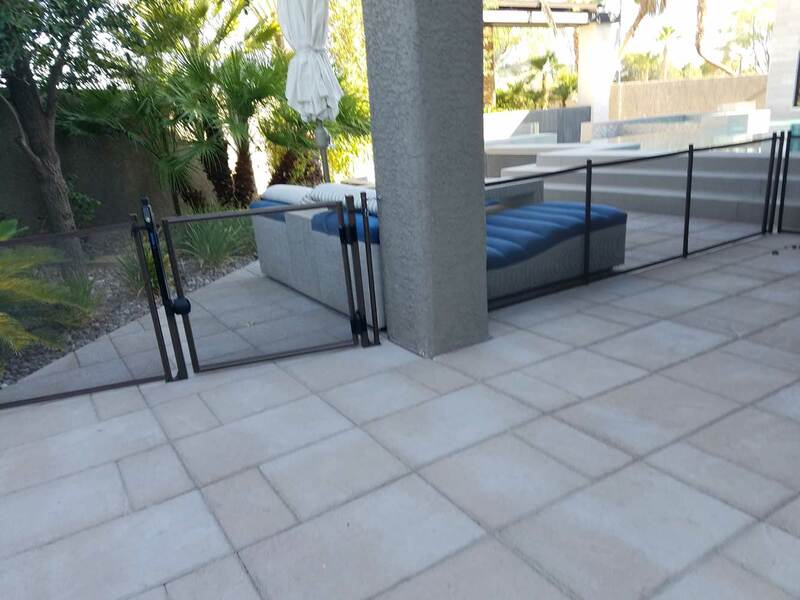 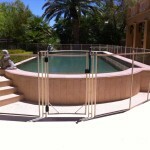 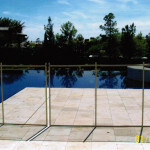 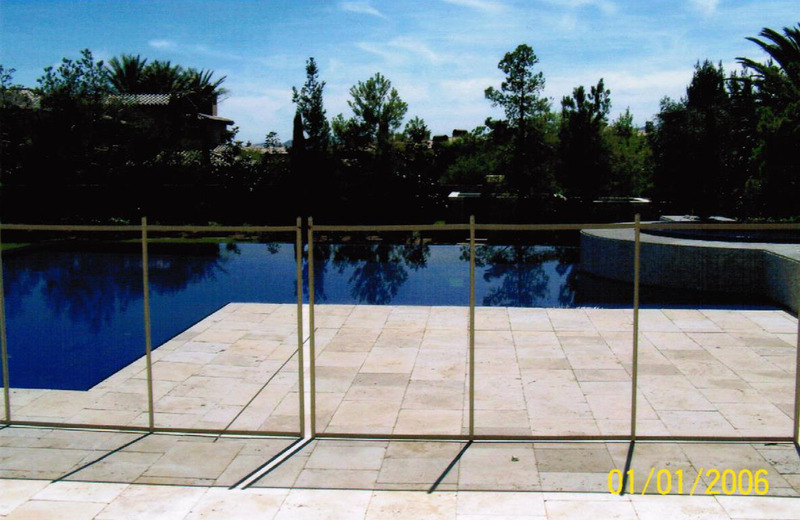 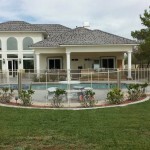 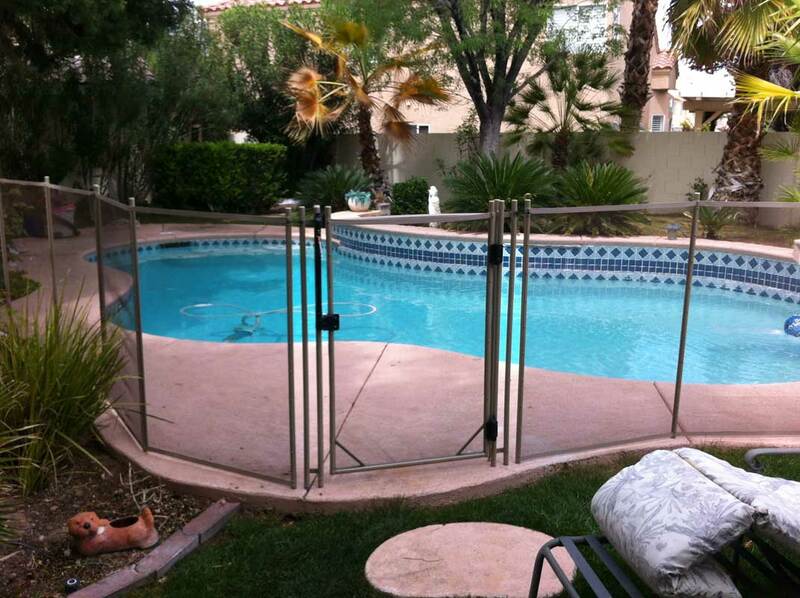 The poles of the Premier Pool Fence were engineered specifically to make them the strongest poles on the market. 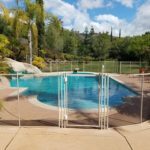 The Premier pole is constructed with a marine grade 6063 T6 aluminum reinforced with PVC and secured to a stainless steel rod. 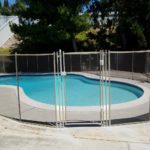 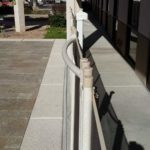 This results in a virtually indestructible pole that utilizes a smaller, dime-sized hole as compared to the larger half dollar sized holes that other fences require. 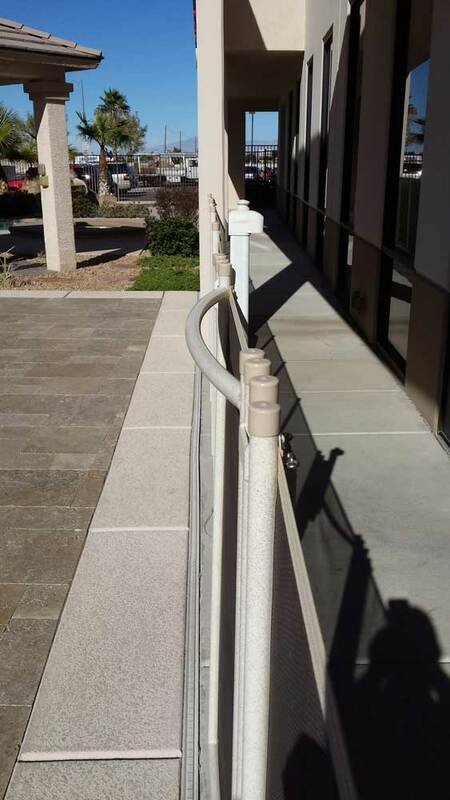 1″ marine grade 6063 t6 aluminum extruded pole and reinforced with a tri-core design or an I-beam from top to bottom. 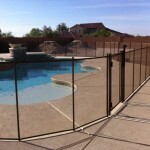 Available with our Texteline fabric in black or brown or with our exclusive Interlocking mesh in black, brown, or green. 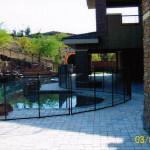 Border and pole color options are black, brown, green, beige or mill finish. 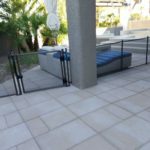 This fence requires a 1 1/4″ hole drilled into your deck and a High Density Non-Conductive Polyethylene sleeve is inserted into the hole and there a colored deck sleeve caps to plug the holes when the fence is removed. 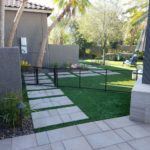 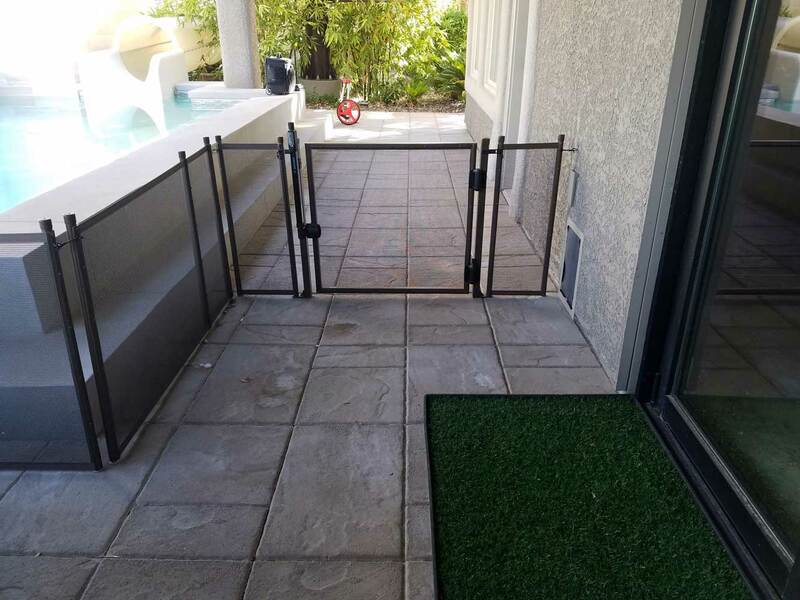 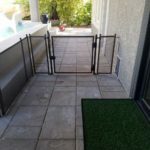 A pet fencing system needs to be durable enough to resist damage by the pets it protects and that’s just what Aqua-Safe Pet Fence does. 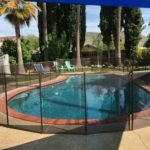 The polyester pet mesh fence is constructed with holes small enough to make it difficult for pets to claw through. 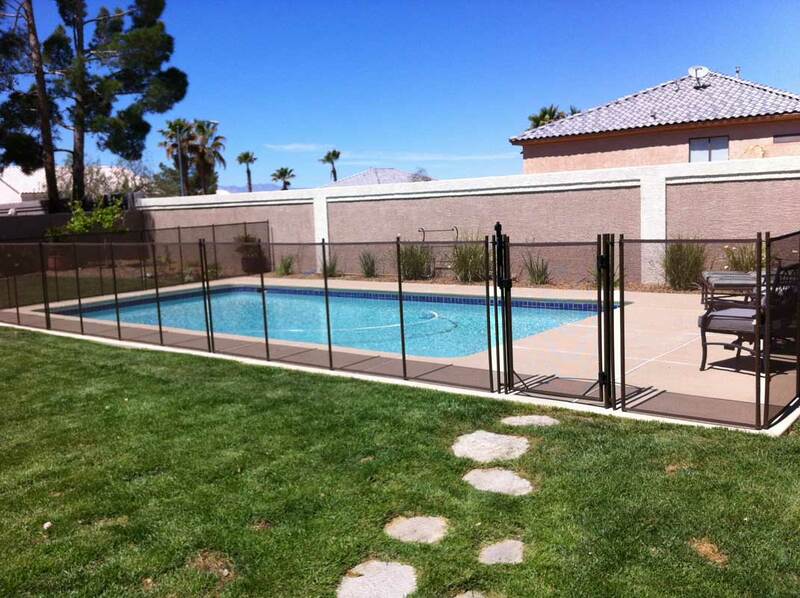 The Pet Fence system uses Premier poles to ensure larger pets cannot break the fence by jumping on it. 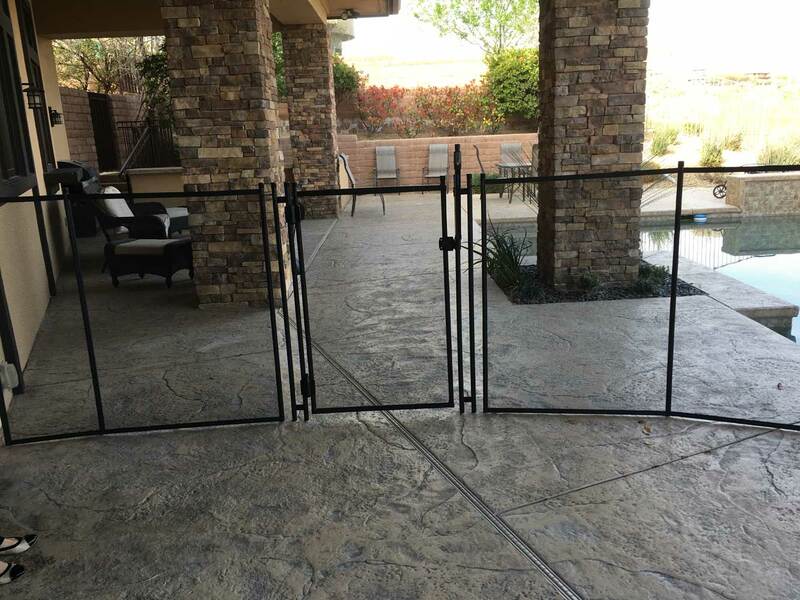 The gate is the most important part of any fence system. 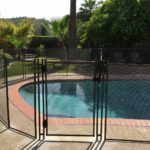 The Aqua-Safe self-closing gate is designed with a curved top cross-bar for safety and stability, making it difficult for children to climb because there is nothing rigid to hold on to. 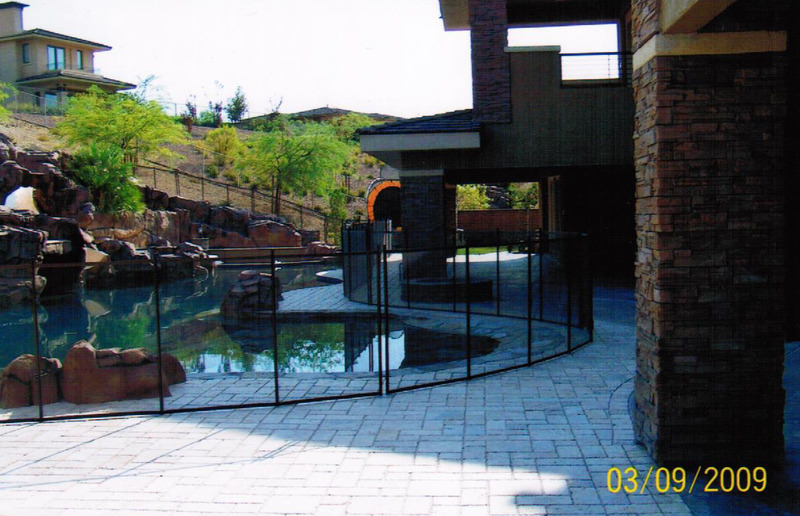 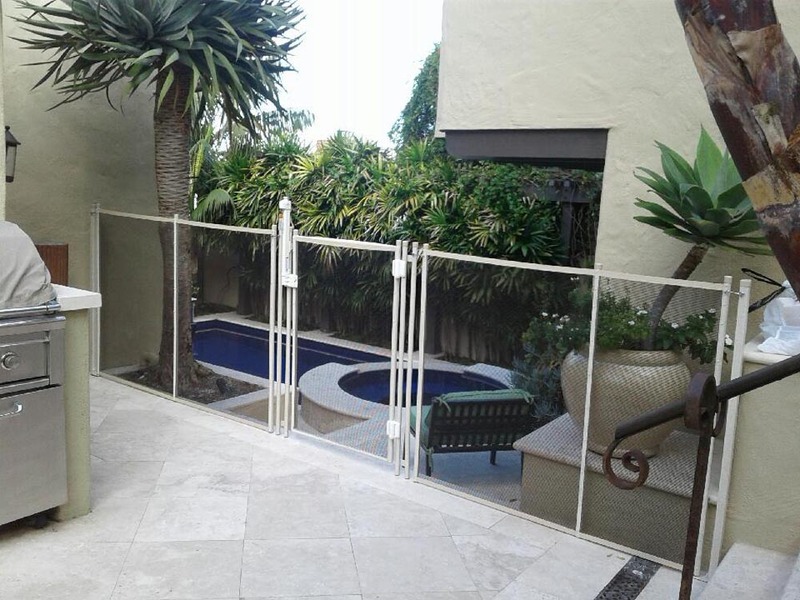 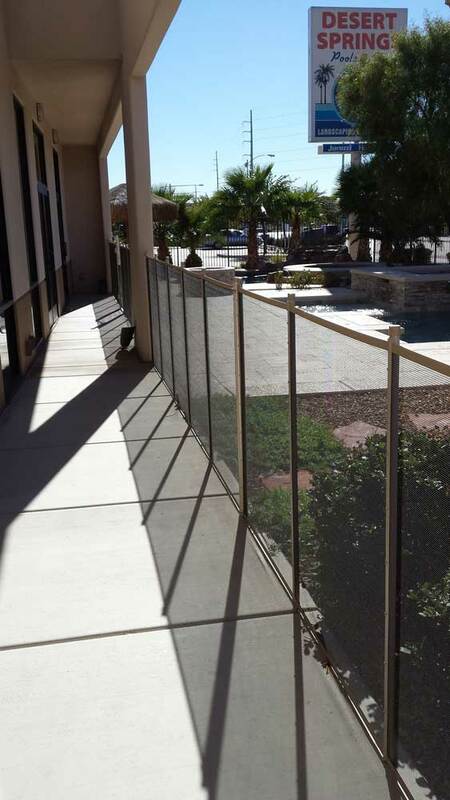 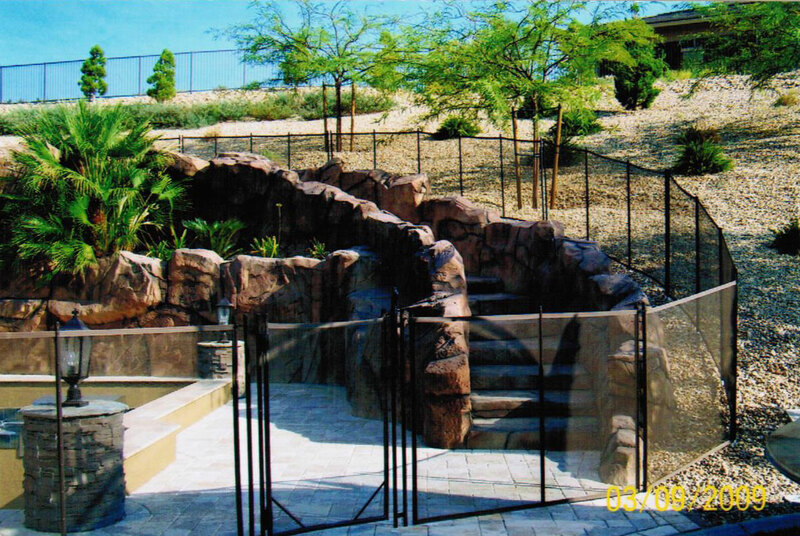 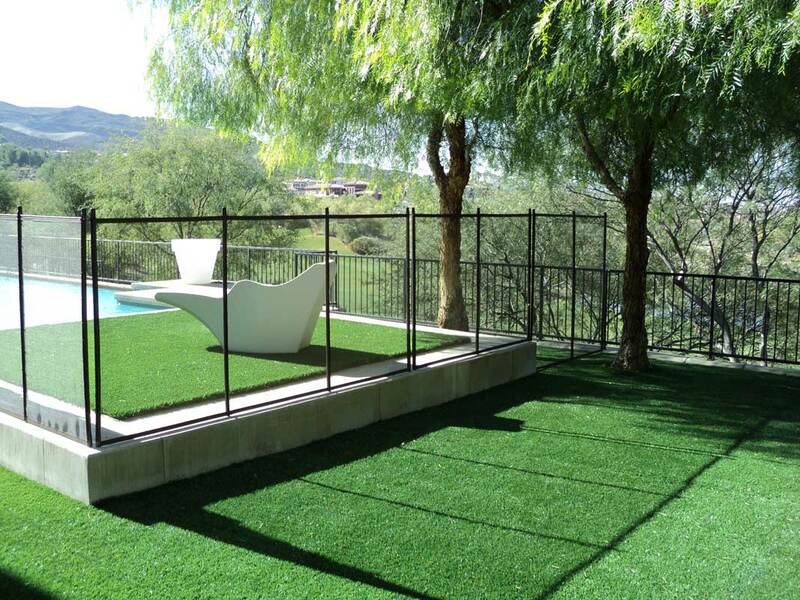 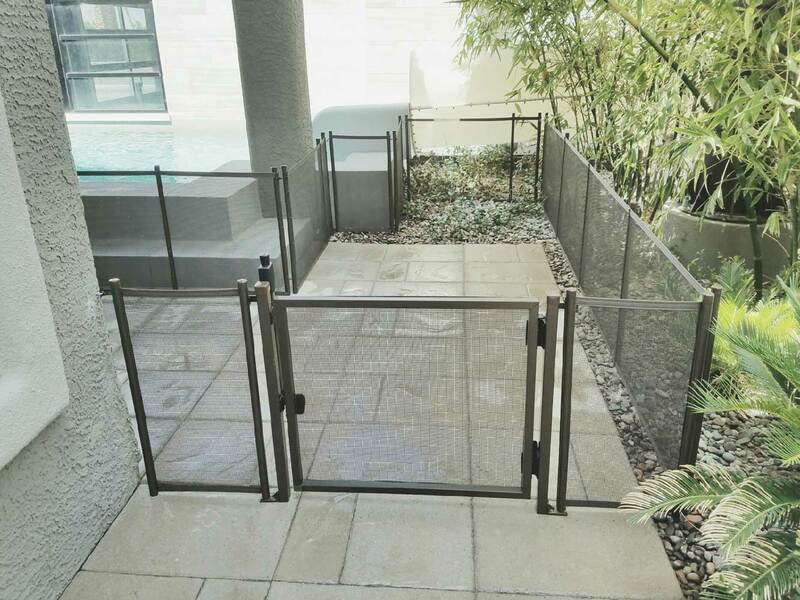 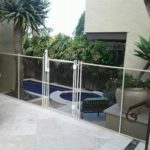 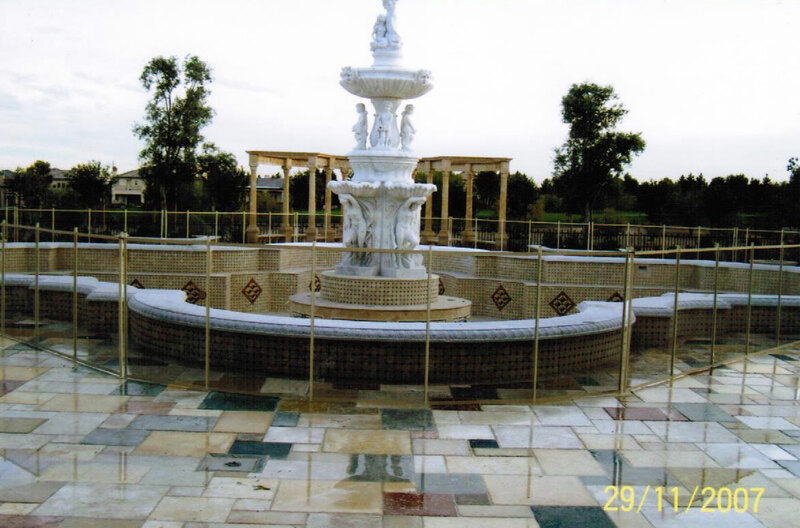 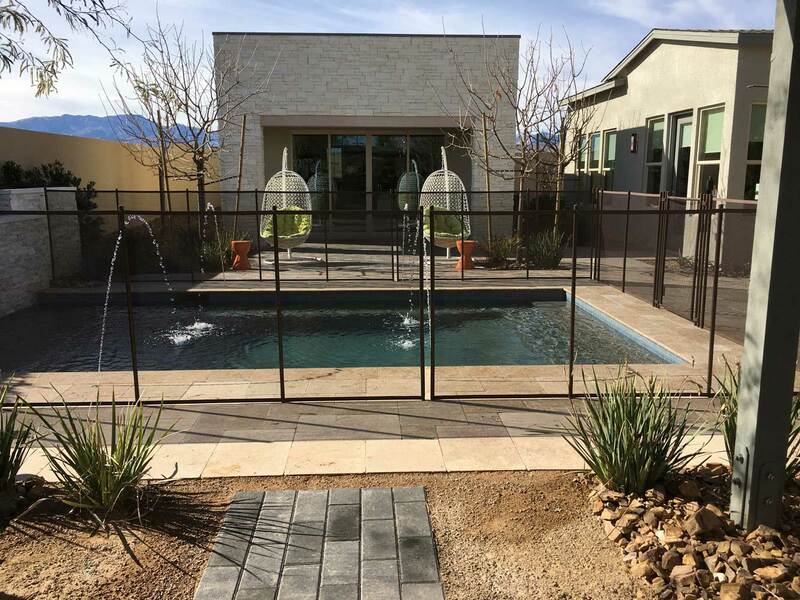 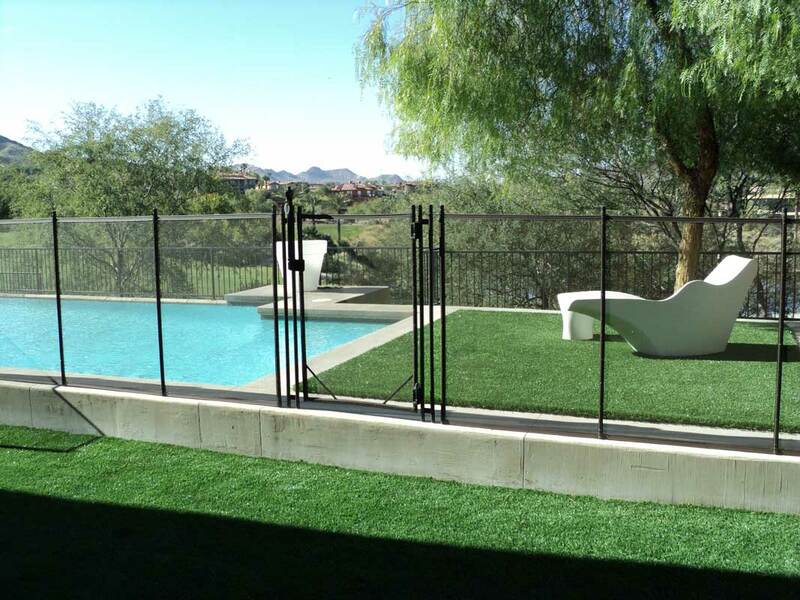 Aqua-Safe’s mesh fencing systems are easily removable without any hardware or tools. 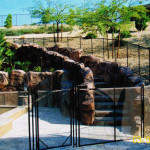 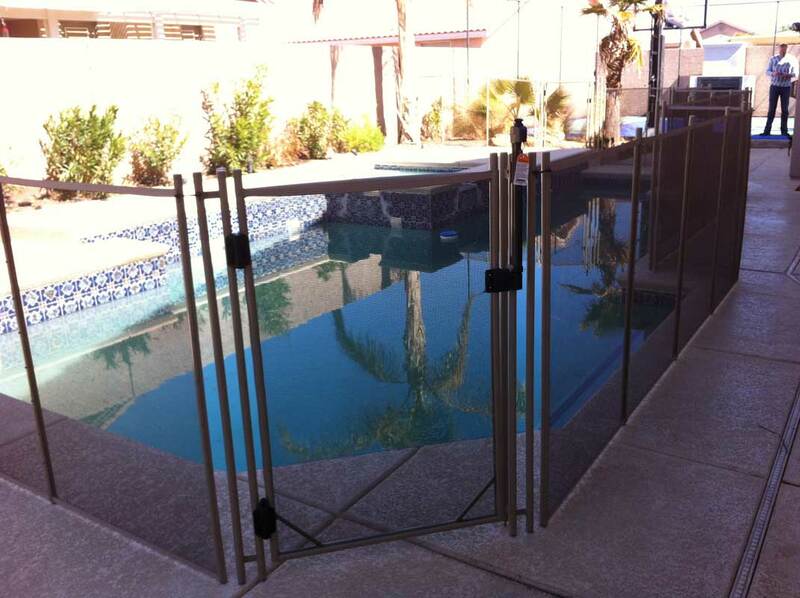 Aqua-Safe’s self-closing gate is removable, non-climbable, self-closing, self-latching, and key-lockable. 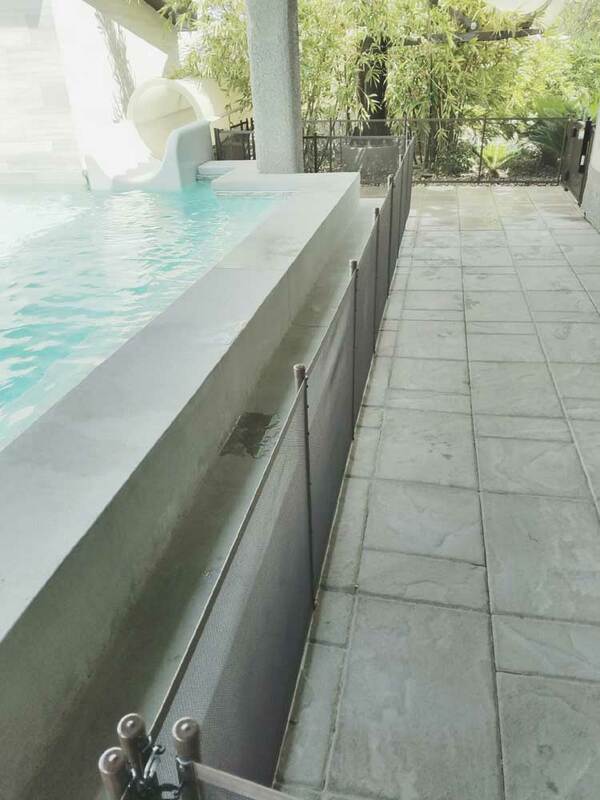 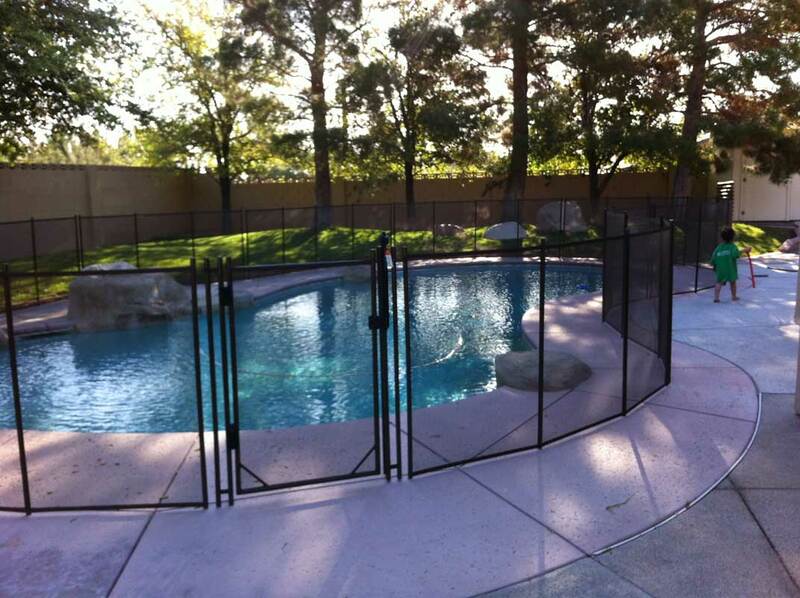 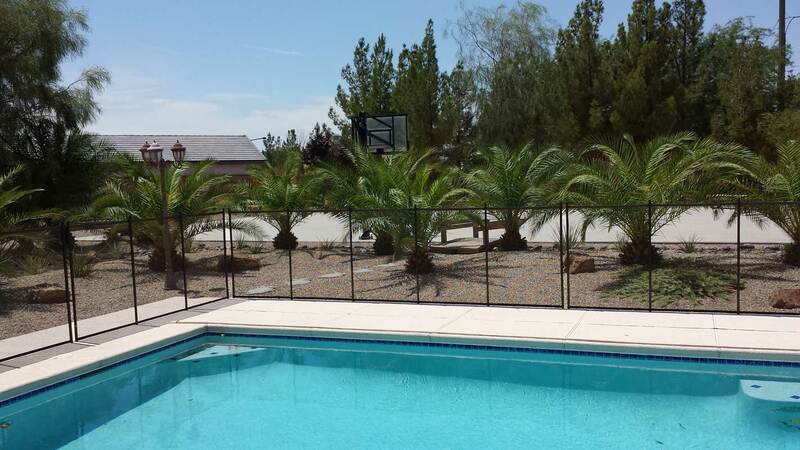 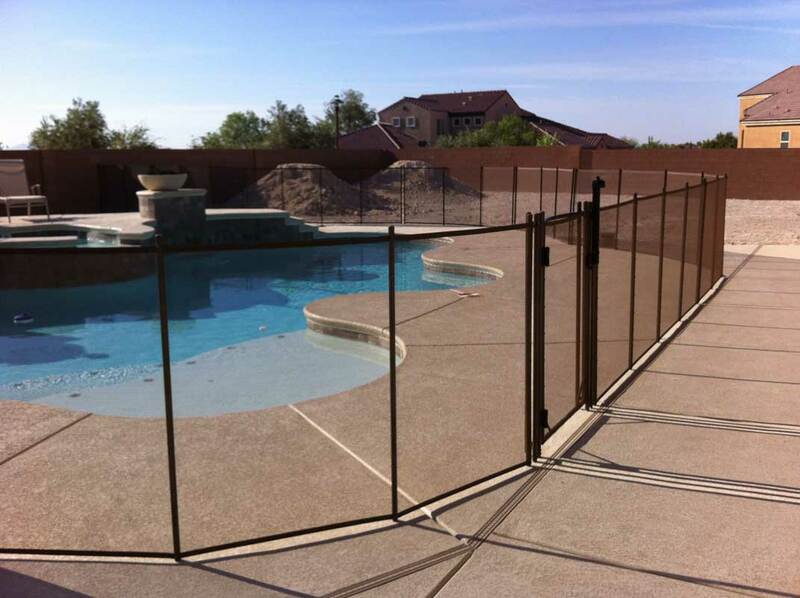 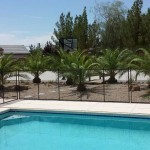 Aqua-Safe Pool Fencing is available in 48″, 54″, and 60″ heights. 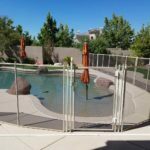 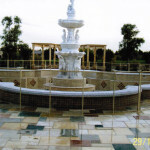 Poles are available in powder-coated colors of black, green, brown, and beige or in a silver, milled finish. 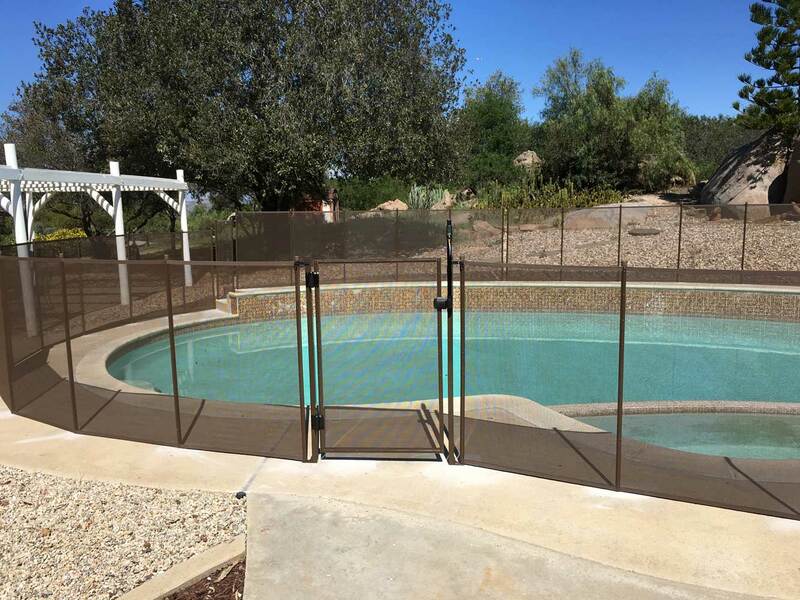 Interlocking mesh fabrics are available in black, green, and brown. 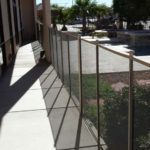 Our standard fabric is available in black or brown only. 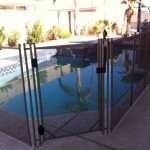 The only latch used with Aqua-Safe pool fence systems is the Magna Latch. 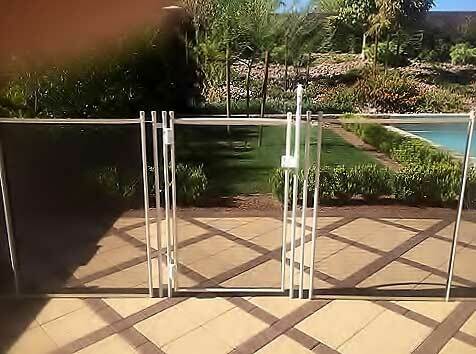 The Magna Latch operates magnetically and is key lockable. 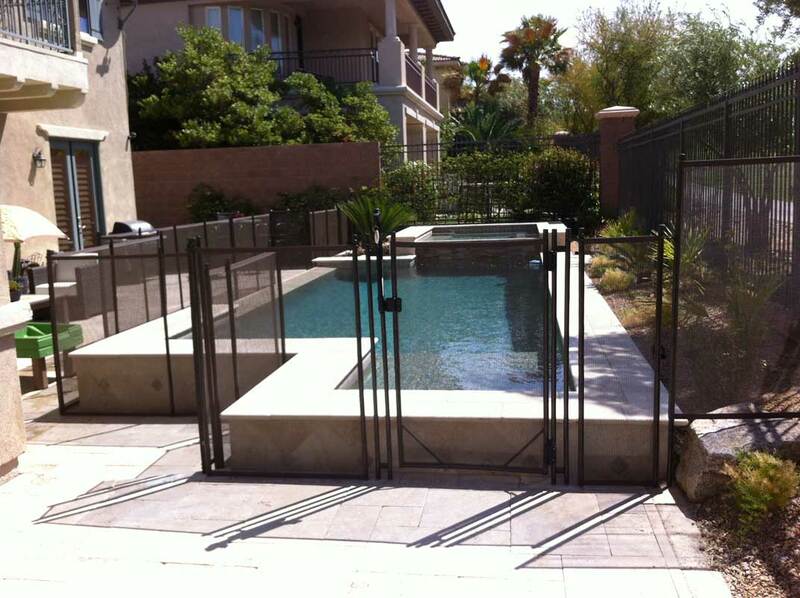 The same company that produces the Magna Latch produces our Tru-Close hinges. 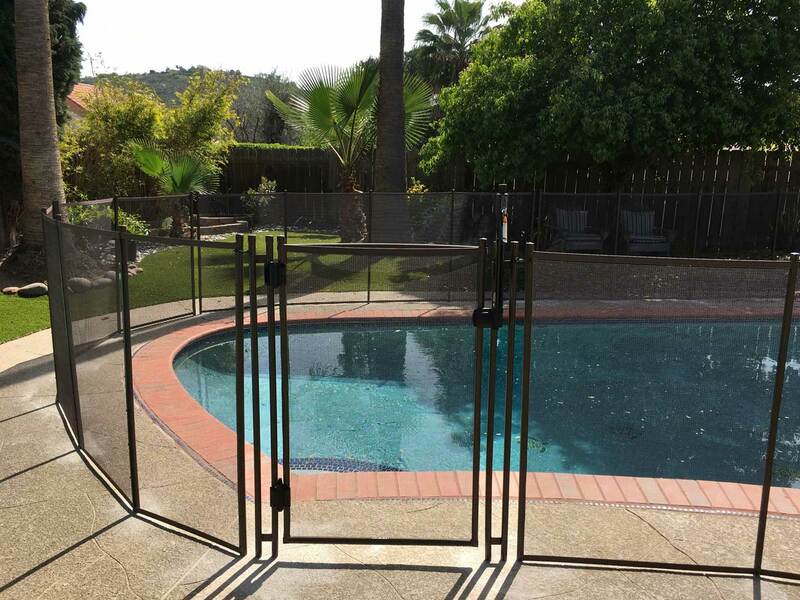 These hinges are tension adjustable and constructed with stainless steel springs.